Last week Amelia's school had an awards ceremony for the second trimester. 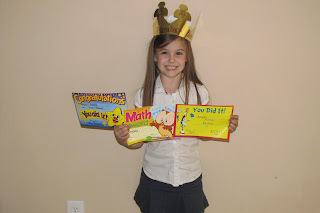 Apparently she has been busy at school and has reached all of her goals for the school year, so she got three awards. She was so very proud of herself.